Yesterday, we began Holy Week with Palm Sunday. This is a very special time for our church and school. 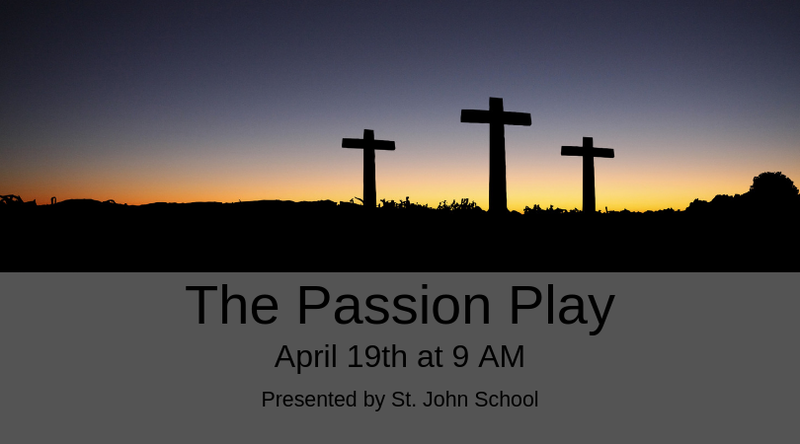 Middle school students will present the Passion Play on Friday at 9:00 am. This is a very solemn, but beautiful play depicting the last days in the life of Jesus on earth. Please join us for this event. Friday marks the mid-term point of the fourth quarter. Also, eighth graders will be attending the Chrism Mass on Tuesday at the Cathedral. Lastly, the students in 4th -8th grade will be participating in speech and debate contests this week. Remember, Friday is an early release day. Please have a prayerful Holy Week and a Happy Easter! 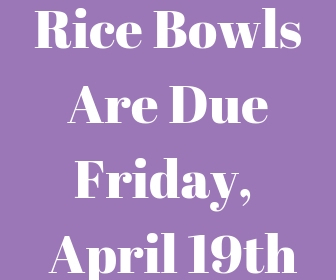 Due to Friday being an early release day, we will be offering sack lunches to anyone who wishes to purchase one. Students may choose from an uncrustable sack lunch or yogurt pack. 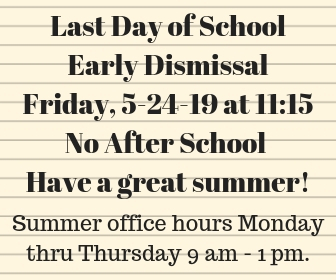 Students do not have to purchase lunch on Friday as many families go out for lunch on early dismissal days. St. John School is once again hosting our face-painting and kite-building booth at Georgetown’s Kite Festival and we need your help! This year’s kite festival is being held April 27-28, 12:00-5:00 P.M., and it’s a fantastic way for St. John School to be out in the community and to show off what amazing kids we have and what a great place we are! We need both student and parent volunteers to cover four shifts in total, two 2.5 hour shifts over each of the two days. This is a great chance for Beta Club members (or older siblings in high school) to earn service hours! Follow this link https://www.signupgenius.com/go/70A0C49AFA623A7F85-kiteto visit our Sign Up Genius site. THANK YOU!!!! 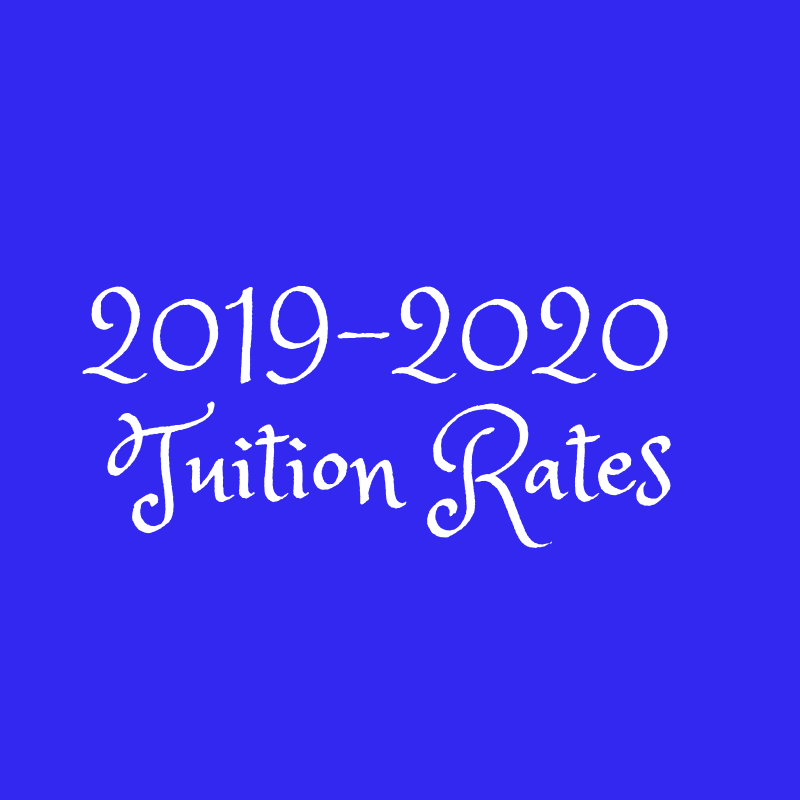 Click here to view our new tuition rates for the 2019-2020. We are now offering a tiered multi-student discount. The more students you have attending St. John, the more you save! It’s is that time of year again! 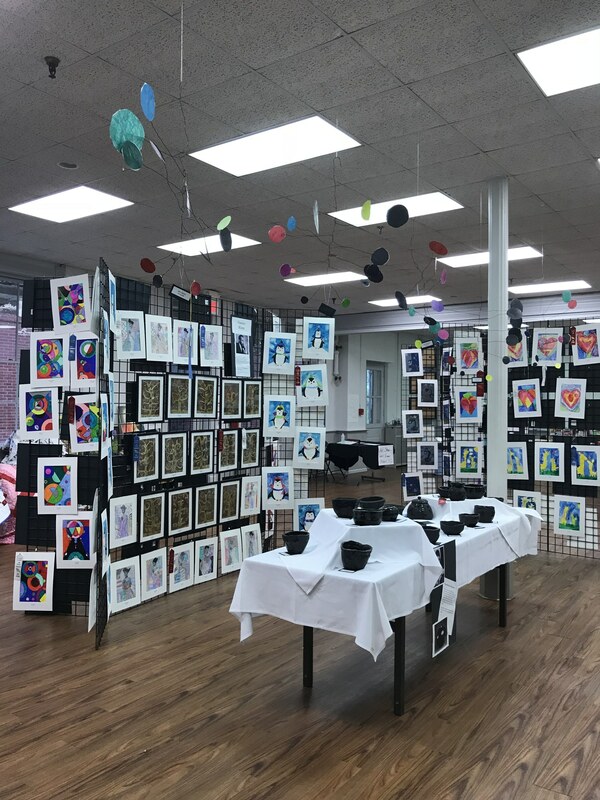 The SJS Annual art show will be here soon! We are looking for parent volunteers to help in the art room with matting, framing, and other preparations for the art show. Please contact Mr. Bridges at rbridges@stjohnschoolonline.org to coordinate with him to help out! Click here to download the updated lunch menu.